Following the line of big releases, Yet! brings us for its eighth reference the techno master of the city of Stuttgart, Helmut Dubnitzky with two exquisite Deep Tech cuts. "Ai Jap" is the name of the EP and also is the first cut, in which Helmut immerses in a deep sound where the bass line is the lead and a playful synth mutates progressively while the voices merge with the knock of the beat, making Ai Jap an exquisiteness for the dance floor. 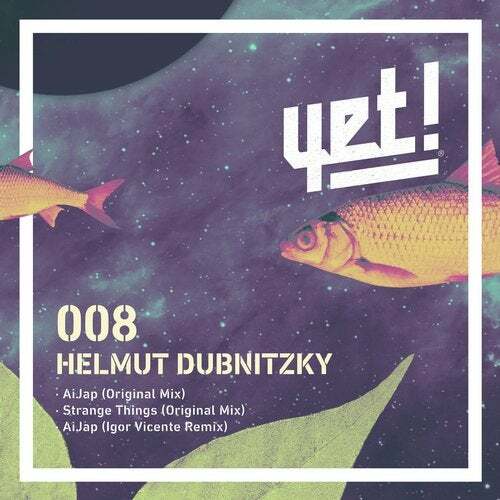 The second cut is "Strange Things" and keeps the same line, showing us a more techno side where we can hear a live repetitive synth that accompanies in a sublime way the groove.To end the EP we will found a remix of the Belgian Igor Vicente, where we can usually find him in labels such as Hot Creations, Get Physical or Avotre. For this occasion, Igor mutate his habitual sound and converts Ai Jap into a piece of almost nine minutes without leaving aside the original personality, it provides a more dynamic and playful groove.